Bob Slentz has served as Town Attorney since 1988. 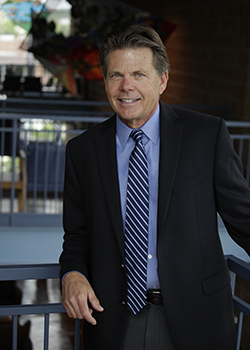 Bob obtained his law degree from the University of Colorado at Boulder and his undergraduate degree from the University of Illinois at Champaign. Prior to practicing law, Bob was employed as a certified public accountant. Bob enjoys running, exploring the backcountry and music.